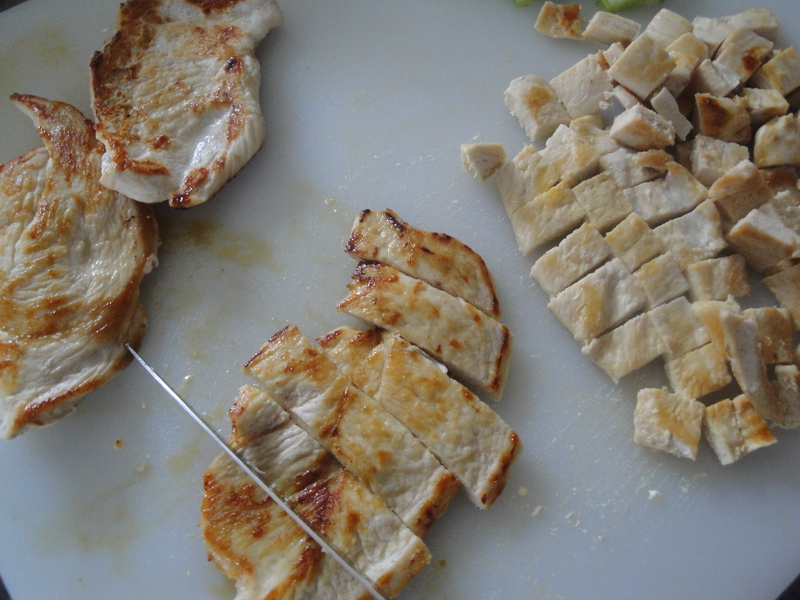 Chicken and rice in any combination is usually a standard meal in my house. 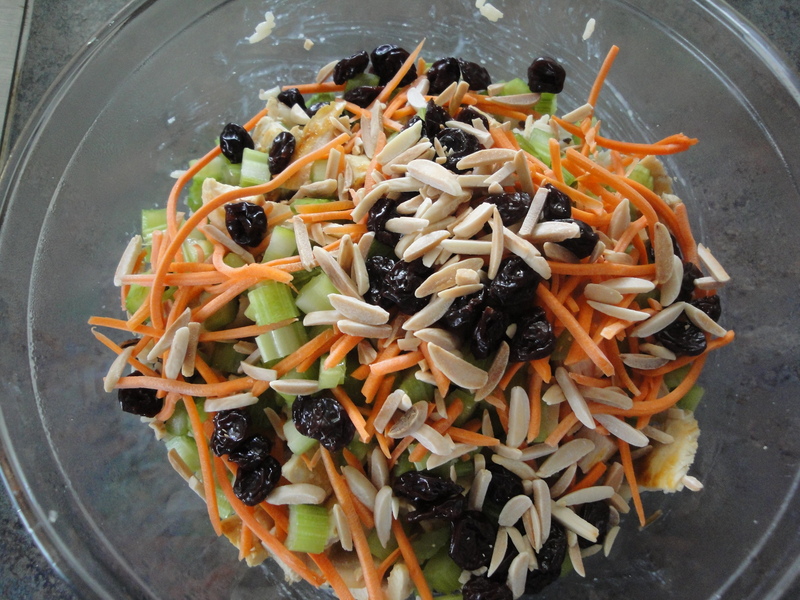 This recipe for Chicken and Wild Rice Salad with Almonds will be a new favorite that I will make again. I couldn’t find wild rice in my grocery store so I bought packaged long grain and wild rice and prepared it according to the box directions (substituting chicken broth for water). 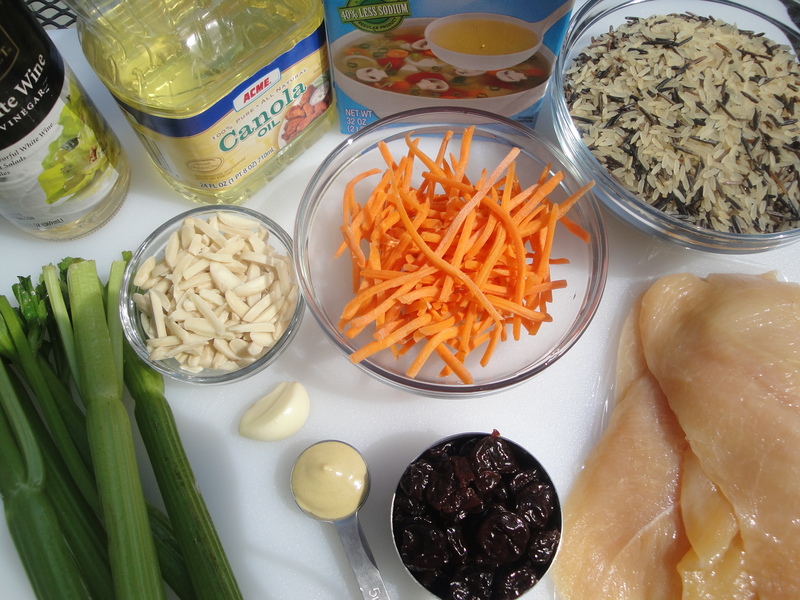 The preparation of the rice takes the longest but substituting pre-cooked rice (the kind that cooks for 90 seconds in the microwave) for the long-cooking wild rice will make this recipe a quick and easy dinner after a long work day. The light dressing adds a tangy accent and the celery and toasted almonds provide a welcome crunch. 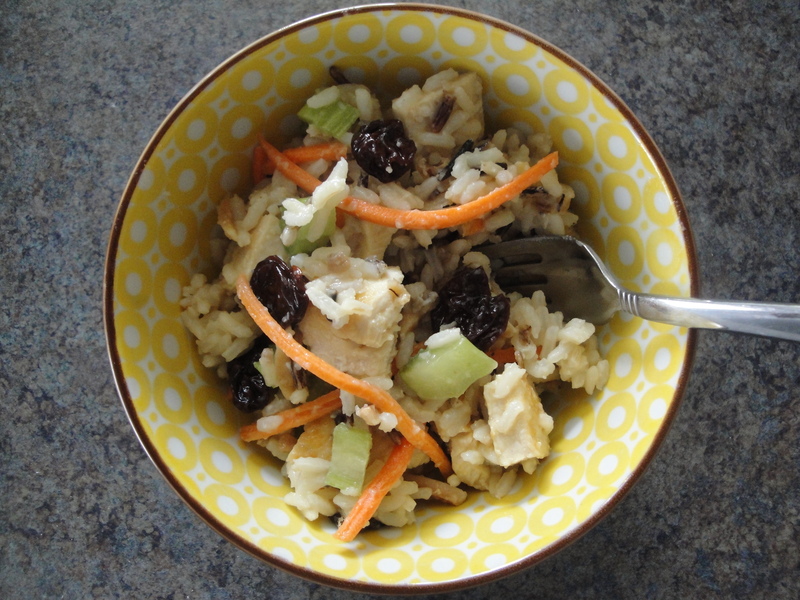 What I love about this salad is that you could easily use other ingredients like apples, pears, walnuts, brown rice, or dried cherries (which I used) and that it can be eaten warm or cold.